I have loved you with an everlasting love; I have drawn you with unfailing kindness,~Jeremiah 31:3. I love reading the stories of people’s relationships with God in His word. One of my favorite passages is actually Hebrews 11. It is called the hall of faith. The passage is long so I won’t post it, yet you can read it here: Hebrews 11﻿. The people listed in Hebrews 11 have incredible stories with God. They overcame seemingly insurmountable obstacles with God. God delivered some from and others through. He drew His people with loving kindness. He established a covenant with His people; one He upheld by His power, love, and provision. I’ve said this many times and will state again, there are things we can only learn about God through experience. Have you ever done missions? Or a team building exercise? Or gone through a struggle with someone? It knits you together. You learn things about them you would not learn by just reading their bio or even meeting with them for an hour or so once a week. God longs to be known by us. I was in a Bible study fellowship for a few years with a group of passionate young adults. Many of us ended up on a mission in the Amazon Jungle together in Brazil. I thought I knew the people on the team. We met weekly for Bible study. I learned so much about my team and myself those few weeks of traveling in a truck, hiking in 100F weather, handling heat stress, living under banana leaf huts, sleeping in hammocks, bathing in the Amazon River, and being in close proximity. Stories were written down, stories told, intimacy built, laughs had, tears shed, prayers offered, and bonding occurred. One that I could preach. I could hear from God in an instant for a perfect stranger. I could survive flying home with a partially dislocated hip. I could lead worship in Portguese. Spanish is my second language, Portuguese is my third (so much to learn). I grew in sharing deep parts of my heart with people on my team. It grew me. I had to rely on God fully. It’s a part of my story with God that’s marked with miracles and wonder. God is writing our story with Him. He longs for the closest promximity and highest priority in our lives. You see, in heaven it’s all about the Kingdom. There’s no marriage, kids to be had, PTA meetings, bills to pay, singles events…it’s His Kingdom. This life, though it’s not marketed as such, is preparation for what’s to come. The relationship built with God on earth will continue on into eternity. Time on earth is the shortest time we will ever live. The greatest covenant and relationship is with God. What will be the theme of your story? Will it be the power of Jesus? Will you be known as one who walked closely with God like Enoch? Will you get to heaven and realize many people came to know Jesus because of your faithfulness on earth? Will you encounter God not only as Father as a best friend? We can learn from others stories and history with God, yet we build our own history with God. We each have our own story with God. You see, I am not Moses. We certainly have a better covenant than Moses and the indwelling of the Spirit. My story is my story with God. We meet heart to heart. I’m not a feeler. I’m a thinker. I’m prone to logical/analytical thought patterns and do not rely on feelings for processing. Yet God supernaturally deposits His heart for people into mine. I feel what they feel. I feel what He feels. He moves me through my heart, though my personality is driven to be led by my brain. He’s writing a story marked with His radical, passionate, compassionate, and profound love. It’s also a story marked with His power. I’m alive because of His great power to heal, protect, and perform miracles. We each have a unique and divine purpose. We are carved out of the heart and imagination of God. The good times matter, the challenges matter, the struggles matter, the joy matters. We are a part of a greater story, His story. We join the story of God and champion our King! We learn the Book (His word) and allow it to lead us into an encounter with Him. Our greatest need is to know the Author. Every situation an opportunity to deepen intimacy with God. What is He doing? What is He saying? Who in His word has experienced something similar? What is God teaching us? How can we cling to Him and grow to know Him better? Whether we believe it or not, God is always working things together for the eventual good of those who love Him and are called according to His purposes (Romans 8:28). I recommend reading all of John 10. In this passage Jesus refers to Himself as the good Shepherd. Shepherds were overseers of flocks. Sheep are not the brightest animals. They will fall into ditches, see another sheep in a ditch and fall in…they can wonder off and be destroyed because they are not wise. Shepherds protected their sheep. They were invested in keeping them safe. They’d lay at the gate to prevent them from escaping. They spent time with the sheep. They rescued wayward sheep. Jesus is the good Shepherd. We are like the sheep. He’s responsible to care for us, reveal who He is to us, and we are to know and follow Him. We are not an obligation to God. We are His dearly loved children. Intimacy with God starts with faith. It starts with belief. Do you believe God is who He says He is and will do what He says He will do? It is not enough to simply believe there is a God or Jesus is the Son of God. Even the demons believe and tremble. 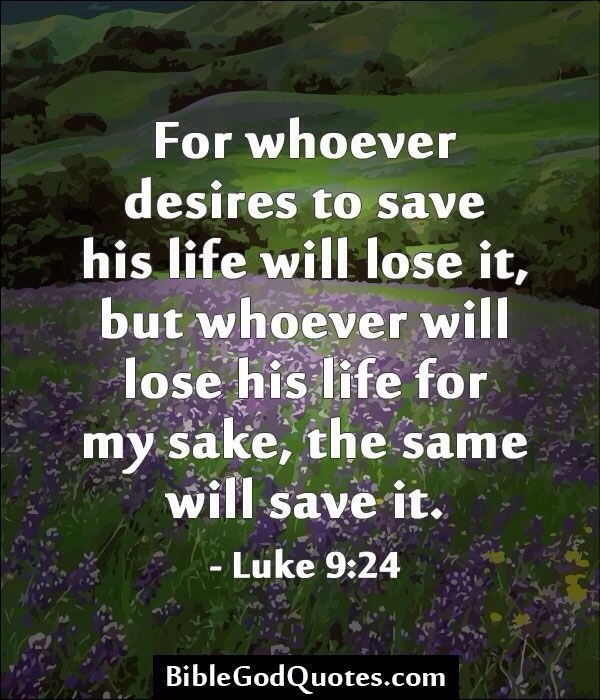 (James 2:19), yet they are not saved. There’s no salvation for them. There is for humanity. If you’re reading this and you’ve never confessed your sins before God, repented (made a decision to turn from sinning and turn to God), asked God to cleanse you of your sins, placed your faith in Jesus Christ as the appropriation for your sins, and asked Him to be your Lord and Savior, I invite you do so. There’s no salvation apart from Him. There’s no entrance to heaven without going through the Son. We can’t do enough good works to earn holiness or righteousness. Jesus did it for us. We by faith, receive what He’s done and accept His righteousness as our own. 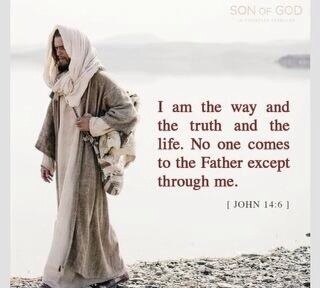 Jesus answered, “I am the way and the truth and the life. No one comes to the Father except through me,” John 14:6. For all have sinned and fall short of the glory of God, and all are justified freely by his grace through the redemption that came by Christ Jesus. God presented Christ as a sacrifice of atonement, through the shedding of his blood—to be received by faith,~Romans 3:23-25a. If you invited God into your life, I would love to hear from you and provide more information to you. The second step in intimacy with God is being with Him. Sheep spent their time with the shepherd. They learned his voice, his smell, his mannerisms. It’s impossible to have intimacy (knowing) with someone and you never spend any time. If Sunday morning is the only time you spend with God, well your level of intimacy is not going to be high. I am not stating you attend worship services all week, lock yourself in a room to pray and read the Bible all day. I am saying we can commune with God every day, as much as we’d like. One of my morning activities is to start the day with worship and thanksgiving. “Good morning God! I love you. Thank you for who you are and all you’ve done. I invite you to be a part of my day. What do you want to do? Who do you want to bless?” And there are days where I’m just listening. What is God doing? What is He saying? It’s not a ritual, it’s relationship. Intimacy with God involves listening and knowing His voice. The Bible says God speaks. There are some who teach He doesn’t and that does not align with scripture. God speaks to His children. If you had children and wrote an instruction manual for them, would you then say, “I refuse to speak to you. Go read the book I gave you.” That would seem insane. Yet some teach God only speaks to us through the Bible. God spoke to people in the Bible through dreams, visions, directly, through prophets, even through a donkey. Before you get too excited, let’s lay down some ground rules. 1. When God speaks He will not tell you to sin or violate His already written word. I had someone tell me once the Holy Spirit told her not to read the Bible ever and only to listen to the voice she was hearing. That’s wrong and violates scripture. I heard someone say God told them to leave their spouse for someone else. That’s wrong. It violates many scriptures. Our culture says do whatever feels good for you and if it’s “love” or feels good, God must approve of it. That’s wrong. If there’s no place in scripture where God is condoning a behavior, you can’t condone it either and claim it’s God. There are some verses that seem to contradict each other which is why God gave His Holy Spirit to teach us. We can’t toss out the Bible and rely on feelings, human wisdom, angelic visitations, or voices we believe are God. “No one knows the day or hour when these things will happen, not even the angels in heaven or the Son himself. Only the Father knows,”~Matthew 24:36. Does the prophecy fit the character of God? I’ve had destructive words spoken over me. There was no life in them. God does give warnings. He also provides redemption. Those who repent can find hope and life in Him. Jesus came to save, not destroy. If people are destroyed, it will be because they refused the gift He offered and refused repentance. Finally intimacy with God involves following Him. I will continue this series because I truly believe we perish for lack of knowledge of who God is. We are called to know Him, to be loved by Him, to love Him, and enjoy Him. God is not boring, cold, stern, a kill joy, or mean spirited. He is good, holy, exciting, adventurous, overflowing with love and joy. He’s beyond amazing. He’s generous, faithful, merciful, and forgiving. The evil one doesn’t want the world to know who God is and how good He is. Once you know Him, it’s almost impossible to resist Him. Will you join me on this relentless pursuit of God’s heart? I hope so. You’re continually in my thoughts, prayers, and you are deeply loved (John 3:16). The Bible says a wise person counts the cost (Luke 14:28-32). What does it cost to follow Jesus? It will cost you everything. God wants your heart, your time, your talents, your mind, your relationships, your pure devotion. It’s not about beating ourselves into submission to His will. It’s about falling in love with the One who loved us first and allowing that love to catapult us into reckless abandon. All of this life, for the believer, centers around God. Walking with Jesus might cost you relationships or friendships. The Bible is very clear about not being unequally yoked (spiritually incompatible in marriage) or hanging with people who are pulling you away from God. Walking with Jesus might cost you time, energy…to serve those around you. Will we do it even if they don’t appreciate it? Will we do it when it’s inconvenient or painful for us? Will we do it out of love, to put someone else first? Will we do it when no one sees and there’s zero credit given to us? Will we serve those who have hurt, abused, neglected, or betrayed us? Walking with Jesus will lead you to purity…denying fleshly desires to pursue holiness. Walking with Jesus will cost you popularity. Not everyone loved Jesus. And if everyone loves what we have to say, we might not be preaching the Gospel. The disciples and Jesus were fiercely persecuted for their faith. Walking with Jesus will cause you to be misunderstood. There are people who will be offended, hurt, angered, and feel rejected by your love for Jesus. Walking with Jesus even in Christian community can be lonely. You will often have to rely heavily on the Holy Spirit because He never grows weary or tired. He never sleeps or slumbers. He is the source, everything and everyone else a resource. Walking with Jesus may cost you your dreams. What if what God has for you is better than what you’ve dreamed up or thought of? What if God’s answer doesn’t match your prayers? God does exceedingly and abundantly above all we could ask or imagine. His will is perfect, even when we don’t understand it. Walking with Jesus will cost you your pride…to give, forgive, sacrifice, and take the role of a servant. Walking with Jesus will cost you comfort. He never promised a life without trouble. Life hurts at times. Sometimes it’s excruciatingly painful and disappointing. He did promise to never leave or forsake us. He did promise to work things for good. Even if it doesn’t happen here and now. We will see Him face to face in all His glory. No pain. No sorrow! Just joy!!!! It’s gonna cost us everything to truly follow Jesus! I can say this with great confidence, He’s worth it ALL! I’ve found no greater love, friend, encourager, or Savior! I have days where I need to hear Him say, “You and I will be together forever in paradise.” And I long for heaven with an intensity I can’t explain. There have been days, nights, and sometimes weeks of just grieving with God. So I can say with great confidence…no matter what you face or how bad it hurts…GOD is fighting for you, praying for you, and nothing you suffer will be wasted if you place everything in His hands. No matter what you lose, He’s willing to offer you all of Himself. It won’t remove all pain from loss, but it will infuse you with strength to continue on. Give it all friends! Jesus is the greatest reward and how He loves us so!!! You are loved. You’re in my heart and prayers. You see, at just the right time, when we were still powerless, Christ died for the ungodly. Very rarely will anyone die for a righteous person, though for a good person someone might possibly dare to die. But God demonstrates his own love for us in this: While we were still sinners, Christ died for us,~Romans 5:6-8. There are so many lies floating around about God. There are numerous people claiming to represent Him that are doing more harm than good. Nothing saddens me more than the misrepresentation of God. He is glorious. He is good. While we were at our worst state, Jesus died for us. God is love. There are so many Bible verses that affirm this truth, yet love is often misrepresented. Love does not go along with what’s wrong. Some believe that because God is love, we should never correct others or point to truth. If you study the ministry of Jesus, He rebuked people…especially the self righteous. For the Lord disciplines the one he loves, and chastises every son whom he receives,~Hebrews 12:6. God’s discipline is aimed at leading us to repentance (turning away from doing what’s wrong). Humans sometimes discipline to exercise control, to humiliate, or seek revenge. God longs to restore. God loves all people! Heaven will be an ethnically diverse place. After this I looked, and there before me was a great multitude that no one could count, from every nation, tribe, people and language, standing before the throne and before the Lamb. They were wearing white robes and were holding palm branches in their hands,~Revelation 7:9. It’s sad that racism, sexism, bigotry, prejudice, and feelings of superiority have made their way into some Christian circles. God does not look at people the way we do. He looks at the heart. There is neither Jew nor Gentile, neither slave nor free, nor is there male and female, for you are all one in Christ Jesus,~Galatians 3:28. In God’s Kingdom, there are no inferior people groups nor is there an inferior gender. Division is a work of the evil one. The Holy Spirit works to bring about peace and unity. He does not change the truth to promote unity; He does place value and honor on people since they are made in God’s image (Genesis 1:27). It amazes me that Jews and Africans have been the most persecuted and hated groups in history, yet the Bible is set on the Continent of Africa and in the Middle East. God does not hate dark skinned people or people from those regions. They were and are an integral part of His story. Jesus was born into a Jewish lineage. Many of the Kings, Queens, and influential people we read about in the Bible were African and others what we’d call today Middle Eastern. God also does not devalue women. If you study the interactions Jesus had with women, He loved, honored, respected, and treated them well. Sin (especially pride) brought about the mistreatment of people. It’s not God’s heart. God wants to save people, not send them to hell. The Lord is not slow in keeping his promise, as some understand slowness. Instead he is patient with you, not wanting anyone to perish, but everyone to come to repentance,~2 Peter 3:9. God sent His Son to save the world. So whosoever believes in Him could have everlasting life. Our role is to share the Gospel (which means Good News), not condemn people to hell. We leave the final judgement in God’s hands. God didn’t tell us to force people into conversion or be the sin police for the world. He did tell us to hold other Christians accountable. Dear brothers and sisters, if another believer is overcome by some sin, you who are godly should gently and humbly help that person back onto the right path. And be careful not to fall into the same temptation yourself,~Galatians 6:1. This does not mean we are not to fight against social injustice. It does mean we not called to be the Holy Spirit for the world. God calls us to be salt and light. Light is a blessing (our role). Light shines (our role). Light guides (our role). Light illuminates truth (our role). God convicts the world of sin (Holy Spirit’s role). God empowers people to say no to sin (God’s role). When we take on His role, we end up doing more harm than good. We point people to God. We allow Him to work through us. We do not assume His role in their lives. God hates sin not just because He’s holy, but because sin destroys who He loves. For the wages of sin is death; but the gift of God is eternal life through Jesus Christ our Lord,~Romans 6:23. God doesn’t seek to humiliate or shame people. Jesus dealt with all types of sinners. He did not seek to humiliate them. The Religious people of his day were looking for people to stone, humiliate, or condemn. When they brought Jesus the woman caught in adultery here was His response. When they kept on questioning him, he straightened up and said to them, “Let any one of you who is without sin be the first to throw a stone at her.”~John 8:7. After her accusers were gone, Jesus told her to go and leave her life of sin. Love protects. Jesus protected her and told her to stop sinning. That’s real love. God is not after your money; He’s after your heart! There are people exploiting the gifts of God and the people of God for profit. God asks us to give to be a blessing to the poor and those around us. The gifts were never intended to exploit people. God cares deeply about the poor. He asks us to give to love on those who have not. When our heart is aligned with His, we care deeply for the poor and we want to give. He does not try to force us to give. He said also to the man who had invited him, “When you give a dinner or a banquet, do not invite your friends or your brothers or your relatives or rich neighbors, lest they also invite you in return and you be repaid. But when you give a feast, invite the poor, the crippled, the lame, the blind, and you will be blessed, because they cannot repay you. For you will be repaid at the resurrection,~Luke 14:12-14. Whoever is generous to the poor lends to the Lord, and he will repay him for his deed,~Proverbs 19:17. To sum it up…God loves people. He’s Sovereign. He’s holy. He’s good. He longs to help us in our weakness. He’s forgiving. The greatest detriment to our souls is failing to receive His Son. No one can come to the Father without the Son. Jesus is the key to eternal life. Even for those who reject Him, God still has love for them. May we know Him for who He really is and represent Him well! God=Love!!! For more info on what He’s like, check out http://morena242.wordpress.com. Do not fear, for I have redeemed you; I have summoned you by name; you are mine,~Isaiah 43:1b. Are not five sparrows sold for two farthings, and not one of them is forgotten before God? But even the very hairs of your head are all numbered. Fear not therefore: you are of more value than many sparrows,~Luke 12:6-7. “I knew you before I formed you in your mother’s womb. Before you were born I set you apart and appointed you as my prophet to the nations.“~Jeremiah 1:5. 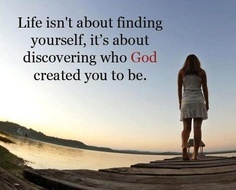 I will start out by saying you cannot know who you are and your purpose in life without knowing God. He is the Creator of all things. Nothing we see would exist without Him. He holds it all together. 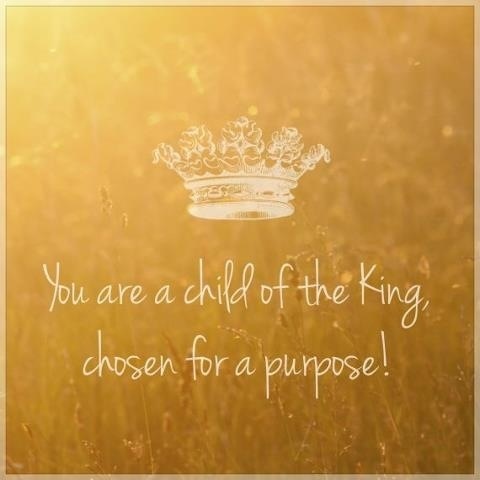 Though He gives humans the right to choose, He is still Sovereign. You are here because God allowed you to be here. “Who but God goes up to heaven and comes back down? Who holds the wind in his fists? Who wraps up the oceans in his cloak? Who has created the whole wide world? What is his name–and his son’s name? Tell me if you know!” Proverbs 30:4. You are invited to belong to Someone great. I heard someone say, “When God looks at the earth He sees two groups of people, repentant and unrepentant. He loves them both. He, like the Prodigal son’s father, is working to bring lost sons and daughters home.” It’s true. God wants you! You were created to be united with Him for eternity. He longs for you. Many are deceived or willingly reject Him, which I am sure hurts His heart. No parent likes to see their child headed for destruction. God hates what’s aimed at destroying us, sin is aimed at destroying us. The wages of sin is death (Romans 6:23). The devil wants to take as many people as he can to hell with him. His fate is sealed, there is no redemption for him. He will burn in the lake of fire being tortured for eternity. He hates people, for humans can be redeemed. Humans can be saved. Humans can worship and love God. Humans are the recipients of God’s grace, love, and made in His image. So, dear friends, if you want to know who you are, why you were born, who your Father is, go to God. If you want to know your purpose, go to God. He knows all, sees all, and has a great plan for your life. If we want to know the purpose of something, we ask the One who made it. You are of Divine Design. Don’t allow the world or even your own thoughts to define who you are. God is perfect and I am certain His thoughts towards you and your life will exceed your expectations. You are and will always be, deeply loved. If you have not accepted the gift of salvation through faith in Jesus Christ, I invite you to come find life. God longs to bless you. He says, “No matter where you have been or what you have done. I paid for it all.” If that’s you and you want to know God, follow along in this prayer with me. God I confess that I am a sinner. I have done things to grieve Your heart and sought to live life my own way. I believe that you sent Your Son Jesus to pay the price for all my sins. I place my faith and trust in You. I ask for Your forgiveness for all my sins, and I invite You into My life. I want to commit my life to You and turn from the life I’ve been living. In Jesus name. If you sincerely prayed that prayer, know heaven is rejoicing. Heaven celebrates every single time we repent (say God is right and decide we don’t want sin in our lives). If you sincerely prayed this prayer, expect life changes. Find a Gospel centered church and get connected. Pick up a Bible and start reading it. I recommend starting in the New Testament and asking God to speak to you through His word. Start praying, talking to God. You can comment here if you want more information. Know that being in God’s family is a tremendous blessing. God LOVES you! You can find more resources and teachings on what it means to be in Christ on my devotional blog (http://morena242.wordpress.com). Whatever you choose in life, I hope you choose Jesus! He is the way, the truth, and the life. God bless you. It’s a Hard Knock Life or Is It? 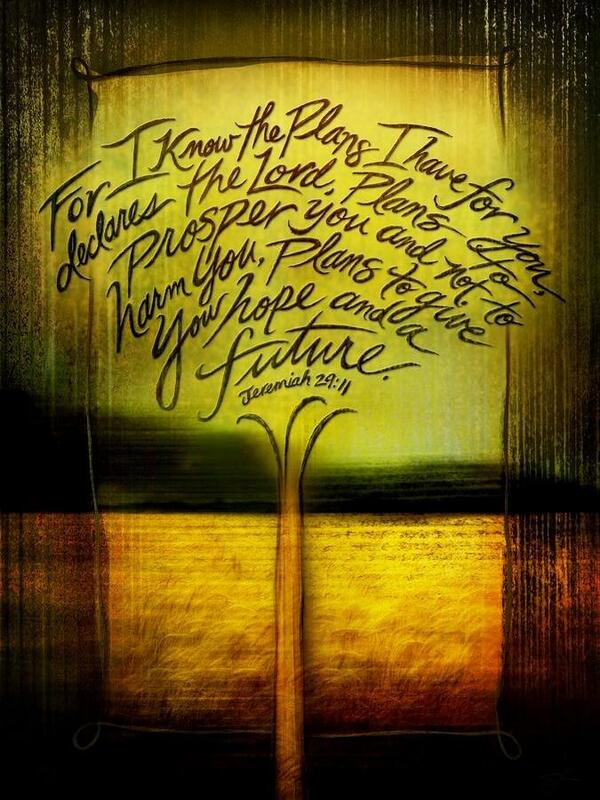 I love Jeremiah 29:11 as seen in the photo above. We’ve been talking about suffering. Depending on where we are focused, on the evil in the world or on God, determines whether it’s a hard knock life or an adventure with God. Let me unpack this statement. If I were a person who had an easy life, you could dismiss me and move on. I have not had the luxury of an easy life. It’s been filled with challenges just like your life. I know what it’s like to be abandoned, rejected, persecuted for my faith, to watch someone I love die a slow and painful death to cancer, to experience my own health issues, and I’ve cheated death numerous times including a car accident that left me trapped in my car under water. I understand pain; physical, emotional, and mental pain. The problem with pain is that if that’s where we stop, it’s not the full story. Jesus came to give us life and life more abundantly. He came so that we could be free! It does not mean a life free of problems, challenges, heartache, or pain. It does mean we have a Healer, Comforter, Advocate, and someone who suffered beyond what we could bear or would even dare to bear. Many of us would bypass the cross for the pain of it was beyond our ability to handle. We have someone who will never leave or forsake us (Duet 31:6). We have someone who bottles our tears (Psalm 56:8). We have someone who is close to the brokenhearted (Psalm 34:18). So I ask, “What is the purpose of this life?” If it’s to be comfortable, then we will never be fully happy. If it’s to win the approval of people, that’s another unsure thing. If it’s to be rich and wealthy, money can not go with us. If it’s to have all the pleasure we can consume, then we end up addicts and slaves to what feels good. 1. To know God. Knowing God trumps all the world can offer. He’s simply the best, better than all the rest. Knowing Him is more valuable than anything this world has to offer. For this life is but a whisper in comparison to eternity. We will reign with Him forever and ever! The LORD appeared to us in the past, saying: “I have loved you with an everlasting love; I have drawn you with loving-kindness,~Jeremiah 31:3. In my Father’s house are many rooms; if it were not so, I would have told you. I am going there to prepare a place for you,~Jesus. John 14:2. Because we know that the one who raised the Lord Jesus from the dead will also raise us with Jesus and present us with you to himself. All this is for your benefit, so that the grace that is reaching more and more people may cause thanksgiving to overflow to the glory of God. Therefore we do not lose heart. Though outwardly we are wasting away, yet inwardly we are being renewed day by day. For our light and momentary troubles are achieving for us an eternal glory that far outweighs them all. So we fix our eyes not on what is seen, but on what is unseen, since what is seen is temporary, but what is unseen is eternal,~2 Corinthians 4:14-18. We have a greater life coming. A life with no sickness, no sorrow, no death, no fatigue, no evil, no sin, and we will be reunited with loved ones who died before us loving Christ. Jesus paid for a better ending! An ending that is unfathomable. He also paid for a better today. We have a friend for our time here on earth; to learn about Him, to be with Him, to become more like Him. He still heals, comforts, and provides in this life. He gave us the Holy Spirit so we have a Helper. He did not leave us powerless or without help. 2. To Make Him Known. We are His ambassadors of love in the world. We are not here just taking up space until Jesus returns. We are called to live a life that helps others, blesses others, and demonstrates God’s love to the world. When the purpose of life is to make Him known, the journey is more enjoyable. Anything we go through can be a testimony of God’s greatness for another. I am truly inspired by people who overcame tremendous obstacles and continued to trust God. It causes me to trust Him even more. You may be someone’s inspiration. You may lead others to Jesus with your story! You are here for a reason. Lastly, I will say if you have pain in your body, I am praying for healing. If you have pain in your emotions or mind, I am praying you are healed. By His stripes we are healed (Isaiah 53:5). We don’t ignore pain, dismiss pain, or pretend we don’t have pain. We take all pain to the Healer. Often we cry or mourn. We lean on Jesus. To all who mourn in Israel, he will give a crown of beauty for ashes, a joyous blessing instead of mourning, festive praise instead of despair. In their righteousness, they will be like great oaks that the LORD has planted for his own glory, ~Isaiah 61;3. God has prepared something great for you. It may not seem like it right now, but the best is yet to come! Hold fast to hope. This life is 100 years at the most, eternity is forever (no end). God is working things together for a blessed future for you and not just in eternity-here and now as well! You are deeply loved. Lovely friends, here is an excerpt from I Thought I Knew What Love Was. I hope it blesses your heart. You are deeply loved. Written by Erin Lamb Copyright © 2011, all rights reserved. breaks off all the chains of the captive. leaving pools of His splendor that are heavenly and holy. no one can stand upright in His presence. for He is a rolling thunder. and He silences all of man’s agenda. He commands it to obey. and builds up the spirit. that reaches down, even to the human cellular level. He has a great purpose. He has always had a great plan. even darkness must acknowledge He is good, and He is divine. it knows it has encountered the King above all Kings. our eyes can barely see. We can barely take Him in. to seek more and more of Him. and part of a divine family. 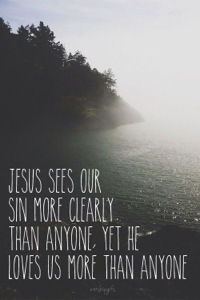 He washes away our insecurities. and our perspectives will change. His ways are drastically different from ours. His thoughts are not the same as our thoughts. brings our high thoughts low. want to stand with us, face to face? He holds all the elements of time and space in His hands. All rights reserved. No part of the material may be used or reproduced by any means, graphic, electronic, or mechanical, without the written permission of the Publisher, Westbow Press (www.westbowpress.com), or Author, Erin Lamb. The only exception is in the case of brief quotations embodied in critical articles and reviews.